Most people only dream of winning the lottery, and few actually see that dream come true. But something happened to one Southern California man that he never imagined in his wildest dreams -- he hit the jackpot more than once. 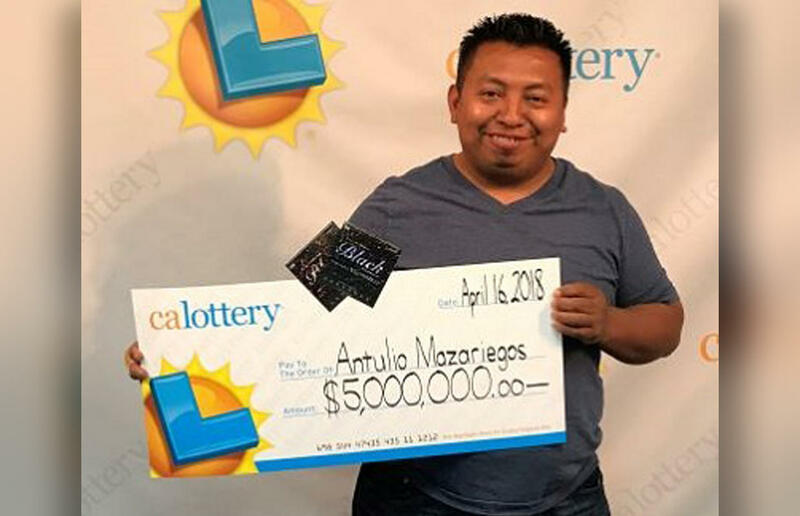 Antulio Mazariegos of Van Nuys, California, walked into a donut shop last November and purchased scratch-off lottery tickets. He often plays the lottery, but this time was special -- one of those tickets was a $1 million winner, the California Lottery reports. That fortune might be enough for some, but Mazariegos decided to keep trying his luck. He continued to buy scratch-offs, and last week it paid off again. This time, Mazariegos won a whopping $5 million, just six months after his $1 million win. When he walked into the California Lottery's Van Nuys District Office to claim his latest prize, he was carrying not one, not two, but three tickets. That's right, on top of the $5 million winner, he also had one worth $1,000 and one worth $600. Mazariegos said he bought those tickets from a liquor store in Van Nuys. There were only three scratch-off tickets left at the location, and he decided to buy them all. Against extraordinary odds, all three turned out to be winners. So Mazariegos is now a multi-millionaire, winning over $6 million in total since he first walked into that donut shop last fall.